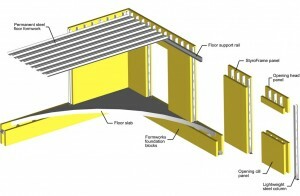 StyroFrame building system | Formworks UK Ltd. The most efficient use is made of all components – They fulfil more than one function. No waste. Off-site manufacture ensures no on-site waste. 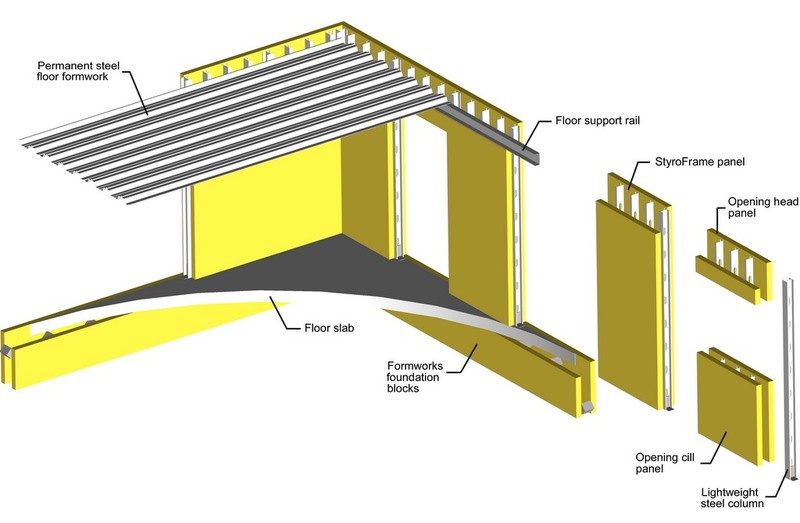 This web site and the design it describes is the copyright of FormWorks UK Ltd. and due to our continuing policy of development and improvement we reserve the right to alter and amend specifications and designs. 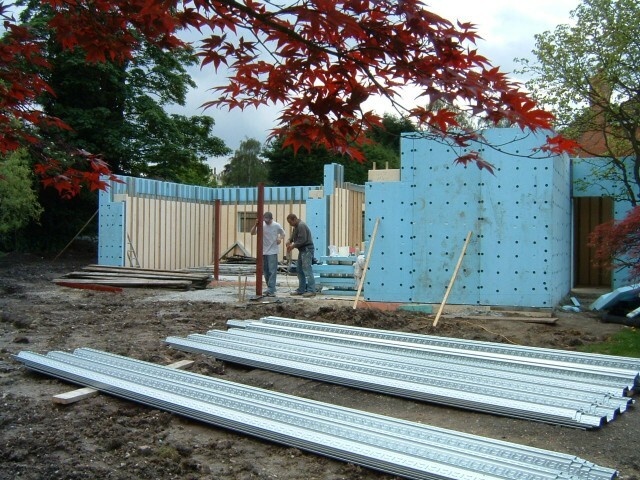 © 2019 Formworks UK Ltd.